A great day of birding on the Southwest coast of Jeju, on a sunny and warm day, with close to 70 species seen. On Mara-do, a dozen Little Bunting, as well as a male Yellow-breasted, and Chestnut Bunting were hopping around at the top of a grassy cliff. 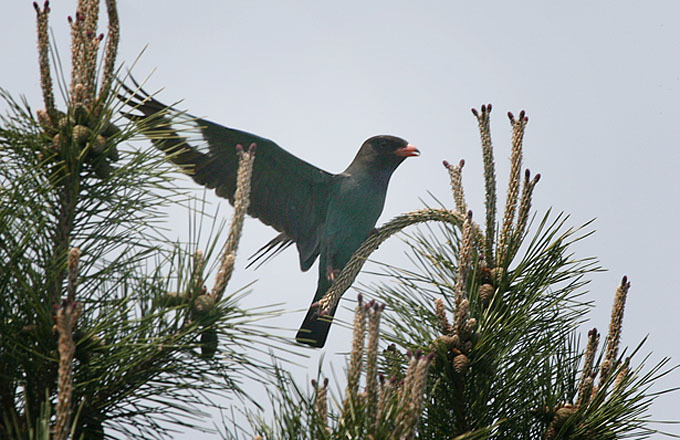 A small cluster of pine trees at the centre of the island was teeming with Asian Brown Flycatchers, Yellow-browed, and Eastern Crowned Warblers. 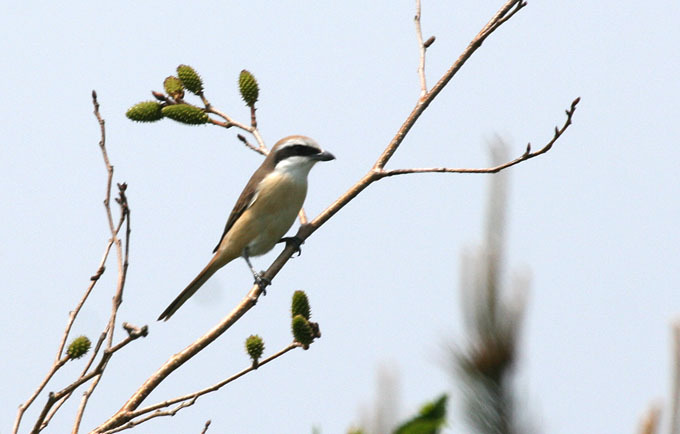 Single examples of Dusky Warbler, Common Cuckoo, Oriental Reed Warbler, Black-naped Oriole, Richard’s Pipit, and Long-tailed Shrike were seen, as well as Two Brown Shrikes, and clouds of Pacific Swifts. On the ferry ride back, two unmistakable Japanese Murrelets bobbed past the ferry at a distance of about 20 feet. Of course, my camera was safely (and hopelessly) stuffed inside my windbreaker so as to protect it from spray from the bow, and I couldn’t get it out in time to snap a picture. 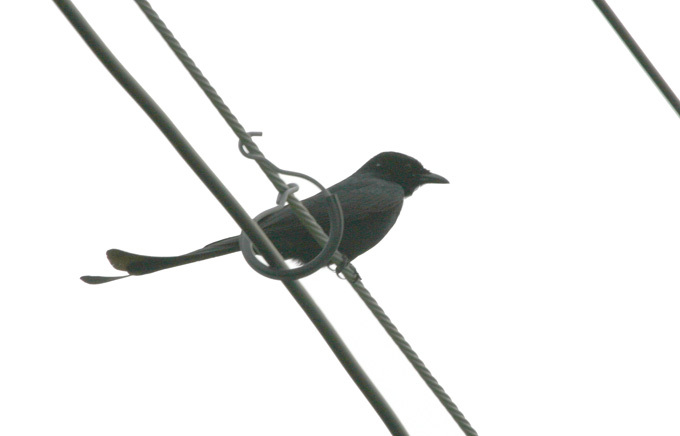 I happily lost my way in the farm roads of Mureung, and ended up driving past a Black Drongo that had dropped down from a power line to feed next to the road. On a small wooded hill on the southwest coast I spotted a Mugimaki Flycatcher, several Eye-browed Thrush, and two impressive Broad-billed Rollers. At least two dozen Black-winged Stilts and several Mongolian Plovers were seen at various points along the west coast, and I saw a Red-billed Starling perched on a balcony on a rooftop on the way back. 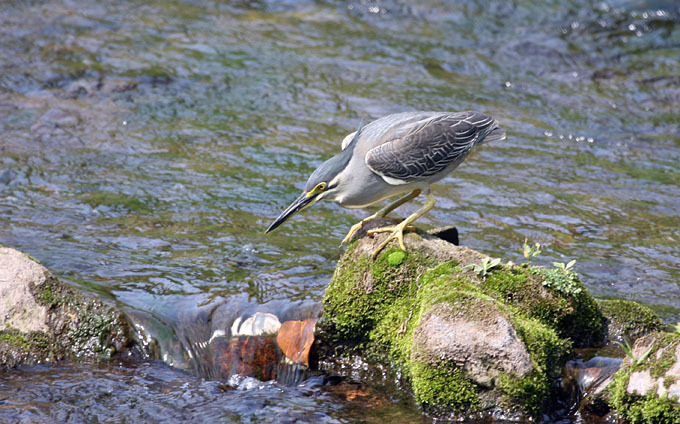 Back in Seogwipo, a pair of Striated Herons seemed to be engaging in a courtship chase in a riverside park, while in another nearby park, the lone resident Striated was intently hunting on a small stream, where I photographed it earlier in the week.